The Combo Chair is the perfect compact piece for Studios or Home Gyms with limited space and is essential for any Full Studio. 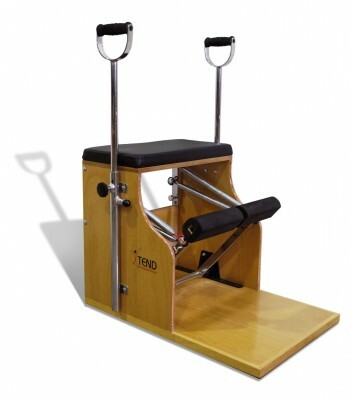 The Chair is used to stretch and strengthen muscle groups not easily reached by more traditional techniques and equipment. The Chair is versatile: it offers a full-body workout from an upright position and allows for a wide range of exercises. 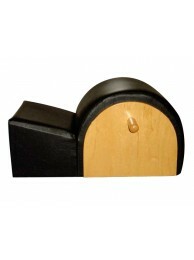 • High density laminated wood with padded top to grant durability. Easy to move. • Split and single step. For single step, insert a dowel. 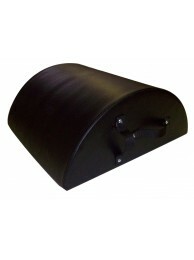 Anti-slip foot pads. • 4 springs. Choose your resistance - 2 springs on each pedal. • Quick changing, locking chromed side poles with padded handles adjustable in height. Can be removed.